For those of us who work day in and day out at The National Center for Outdoor & Adventure Education’s (NCOAE) headquarters in Wilmington, N.C., tropical storms and hurricanes are part of our environment. Just last year, Hurricane Matthew paid our campus a visit — right in the middle of a three-week campus-based course. But just like the Boy Scouts, we place a great deal of stock in their motto: Be Prepared. By the time that hurricane came roaring through, we had battened down the hatches at our headquarters facilities and moved everyone enrolled in the three-week training to the Raleigh Durham area where they finished out their course. By communicating that potential change far enough in advance, no one was surprised. Our students finished their certification program on time and were safe in doing so. And now Hurricane Irma looms on the horizon, threatening to make landfall along our coastline sometime next week. According to the latest National Hurricane Center reports, Florida could face direct impacts, with potential paths for the storms including a move further east to encompass the Carolinas and the East Coast. 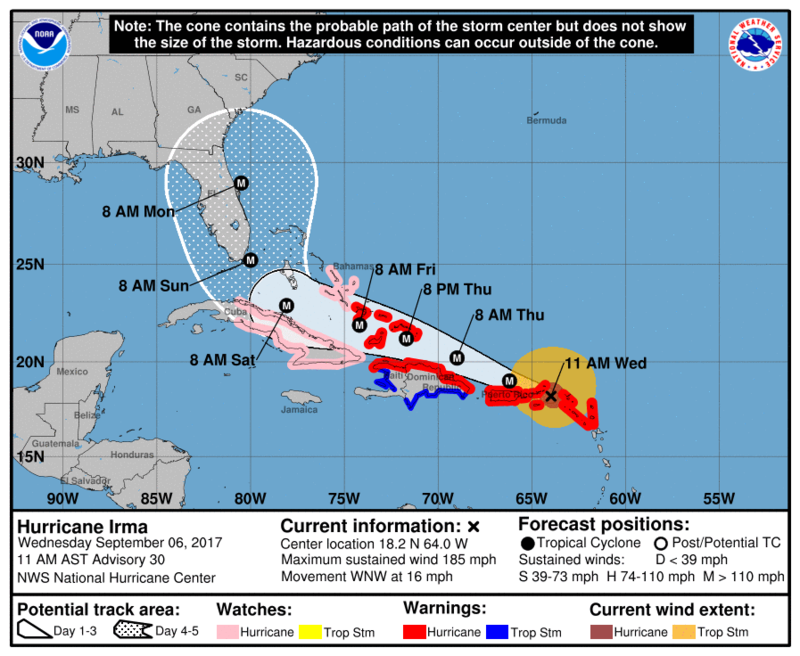 Mandatory evacuations have already been ordered for the Florida Keys. Outdoor education programs — especially those accredited by the Association for Experiential Education (AEE) — are well versed on what to do in the case of a backcountry emergency or disaster. But how do you prepare for a natural disaster on your own property?